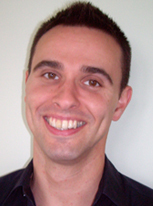 Jonathan is the Director of Rehabilitation at ABI Rehabilitation, Auckland, New Zealand. He obtained his bachelors degree in occupational therapy from The University of Derby in the UK and his masters in rehabilitation from AUT University in Auckland. Jonathan is an active member of the American Congress of Rehabilitation Medicine, contributing to both the stroke ISIG and International Networking Group. In addition to his role at ABI Rehabilitation, he also facilitates national workshops in rehabilitation topics, chairs the regional occupational therapy neuro-interest group, and works as an auditor for the New Zealand Board of Occupational Therapy. His clinical and research interests include community re-integration following brain injury, goal setting in rehabilitation, motor control post-stroke, and cognitive interventions after brain injury.